EXPERIENCE LIFE ON THE BANKS OF THE YELLOWSTONE RIVER. 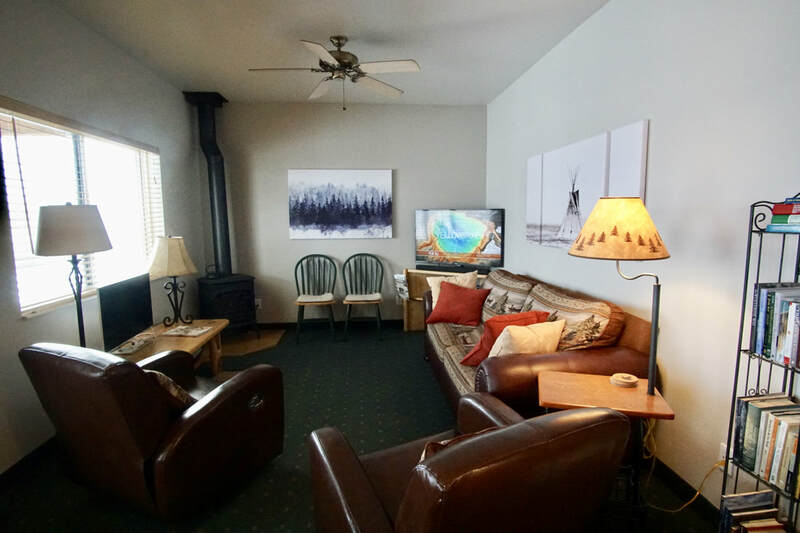 The Yellowstone Riverside Cabin is a modern 2 bedroom, 2 full bath cabin located just 5 miles from the north entrance to Yellowstone National Park. The cabin is off a gravel road called Old Yellowstone Trail South on the west side of the Yellowstone River, only 1,200 feet away from the National Park boundary. It's an ideal location for wildlife viewing, hiking, fishing, photography, rafting, etc. 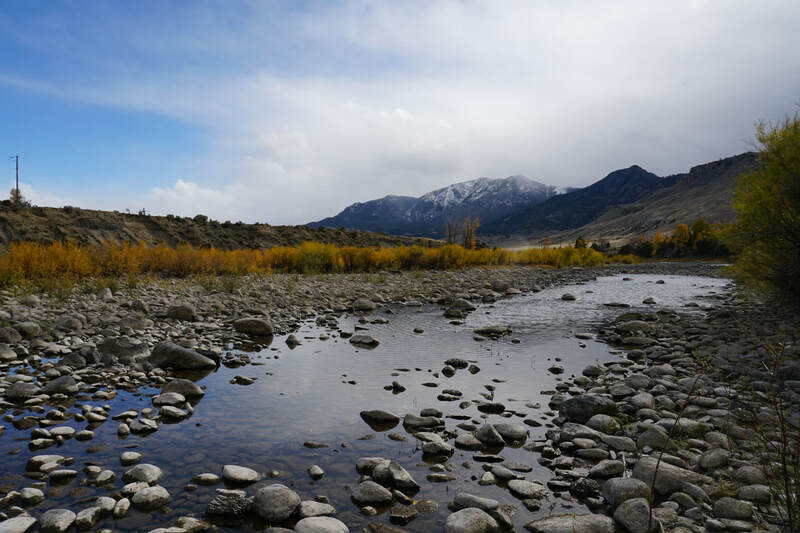 Being across the river from Hwy 89 creates a more isolated atmosphere, well removed from the busy roads in town or the highway. Old Yellowstone Trail S. road is maintained and there is access to the cabin all year round. Bedrooms each have two queen beds and can sleep 8. Towels and linen supplied. The cabin is fully furnished. Complete well stocked kitchen. The cabin is one of 9 that sit along the banks of the river. There is a big fire pit which the cabins share. Sorry but smoking is not allowed and no pets allow. There is a 2 night minimum stay. Please see Rates/Availability page for details on taxes and cleaning fee. Please click on "Cabin Details" in menu above for more information and pictures of the Cabin and surroundings. Beautiful views, sounds of the river and creek, and lots of wildlife. 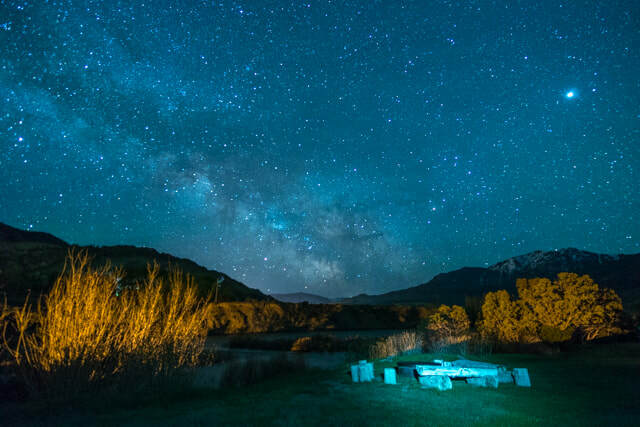 The Fire Pit is a good place to meet fellow travelers, make s'mores, roast a hot dog or just sit and experience the beautiful night skies of Montana. In November, 2017 was very lucky to acquire the cabin from Kaylie and Michael who owned the cabin for many years and shared it with people as a vacation rental when they were not using it. I am excited to do the same. I spent the winter working on the cabin and furnishing it with many new supplies and amenities, making it a comfortable, cozy and fun cabin on the Yellowstone river. I chose this spot because I fell in love with Yellowstone in the Winter. It's hard to beat YS National Park in the summer but the winter is my favorite. I like to be able to drive into the park on my own in the winter and not have to go with a snow coach. The North entrance allows this. The setting here is absolutely beautiful and this area is not overly commercialized or crowded. The fishing right outside the door is a huge plus as well. The many upgrades including new paint, new small appliances, coffee maker, pots and pans, dishes, bedding, towels, etc. 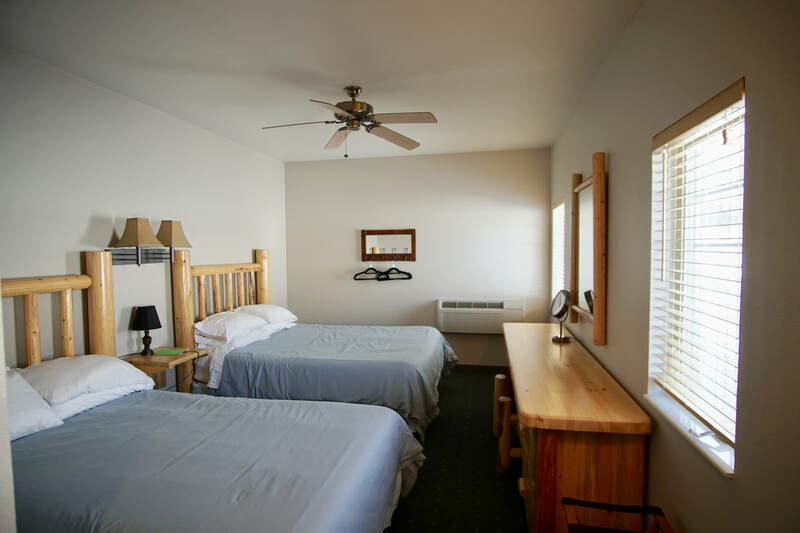 The cabin is now furnished with many modern conveniences: WI-FI, in wall USB ports, UHD TV with sound bar, UHD Blue-ray DVD, DVDs to borrow, and a HD IPS monitor for photographers. The cabin has a gas wood stove and in wall heater/ac units so it's warm and cozy in the winter and cool in the summer. There's lots of wildlife viewing thanks to the cabin being along the river and removed from crowds. The small town of Gardiner is only a 10 minute drive away. It is my hope to have furnished my cabin so that everyone will thoroughly enjoy their stay and hopefully have all their expectations met. My goal is to have visitors want for nothing. All that being said, please help take care of the cabin and the furnishings. This is my home, it is very special to me. Please help me keep it in good condition and in high standards. I ask that you treat my cabin as you would your own, or as you would a good friend's place. We are trusting each other. I am striving to have many returning guests and/or guests by word of mouth. If you don't mind driving a few miles on a gravel road (it is a county-maintained road but usage can cause some wash-boarding), you'll be greatly rewarded by the surroundings. 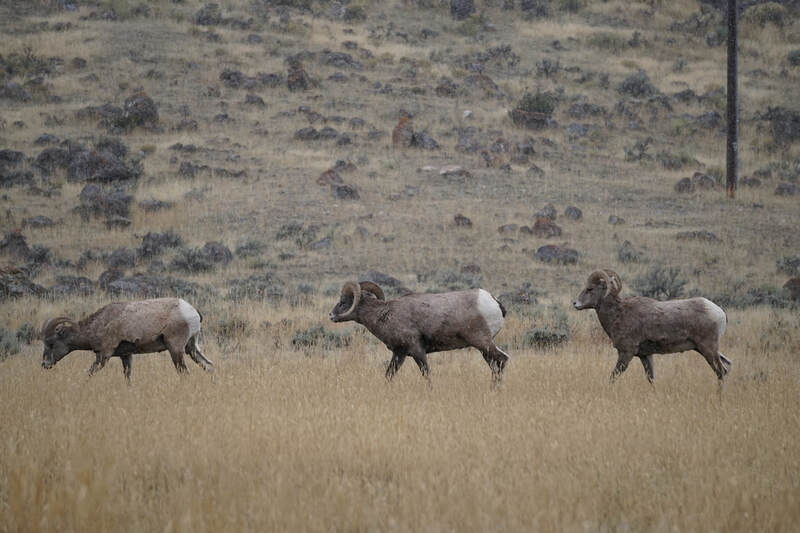 It's a common to see elk, deer, pronghorn antelope, bison, bighorn sheep, and more along the drive. Please, when on the gravel road, just keep your speed down to 25 mph or less and as low as 20 mph at night. And remember never to approach the wild animals. Keep a safe distance. Some of my most recent reviews from end of July, 2018. A WORD OF CAUTION! 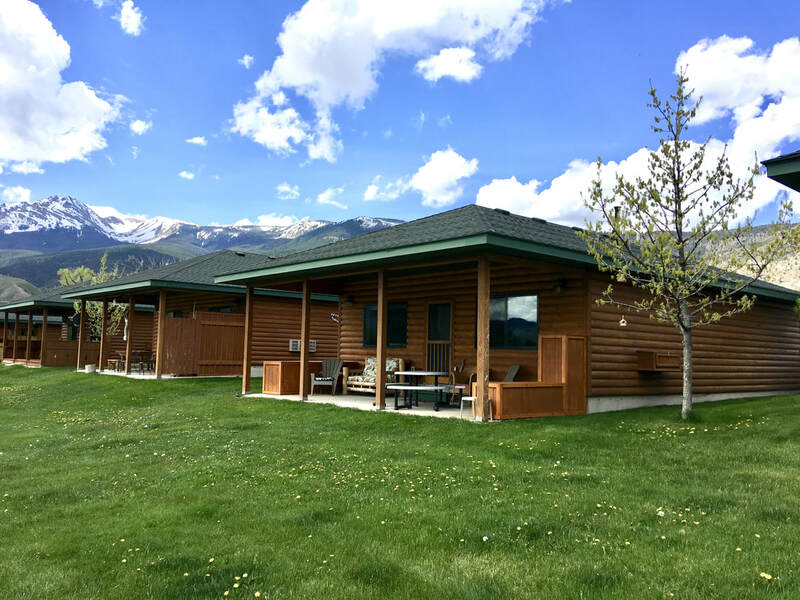 The cabin is only yards from the National Park boundary so there can be dangerous wildlife on the property, including but not limited to elk, buffalo, cougars, bears - both black and grizzly, rattle snakes, wolves, coyotes, etc. Always use extreme caution when walking along the river or hiking around the property. I would highly recommend carrying bear spray and keeping it handy. If you're traveling through Bozeman, Costco is a good place to buy it otherwise it is also sold in the town of Gardiner. The comforts of home and lots of adventure!